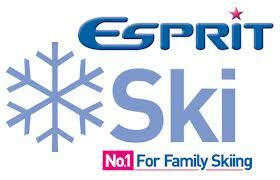 Start planning your perfect family ski holiday by requesting the Esprit Ski brochure today. (TRAVPR.COM) UK - October 8th, 2013 - Esprit Ski are the family ski holiday specialists; with over 30 years of experience, they have consistently refined and developed their service to become the UK’s number one choice. Their renowned childcare team are trained to look after children of any age, from babies to tweens, and their exclusive classes involve only six to eight children at a time, so you can rest assured that your little one is receiving the same care and attention you would provide yourself. As Esprit Ski take care of flights, resort and classes for you, a family ski holiday has never been more simple or stress-free. Request a copy of the Esprit Ski brochure today to start planning your perfect skiing holiday. Simply submit your name and address and state where you heard about Esprit Ski on their website, and your very own copy of the 2013/14 brochure will be on its way to you. Browse through their wide range of chalets, hotels and resorts and find the destination to best suit you and your family. They can even arrange a personalised ski pack that will have all of your lift passes, tuition and equipment hire organised and ready, awaiting your arrival, so that nothing is left to chance. Request a brochure today to find out more.